Learning matters and it happens every day in different ways in classrooms, libraries, on playing fields, and the stage. This week, seventy-seven seventh and eighth grade students who play violin, viola, bass or cello formed an All County Orchestra, rehearsing all day to perform an evening concert for families and community members. 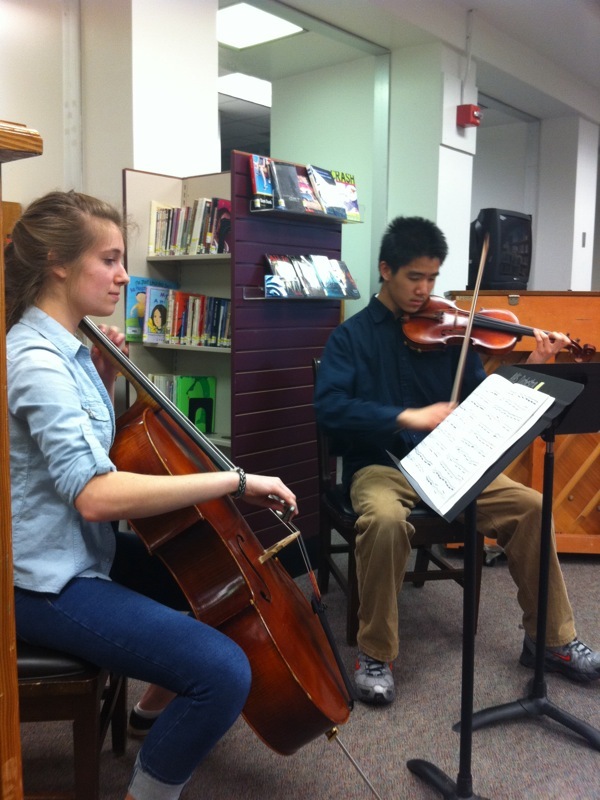 The strings program began in response to the interest of children and parents in expanding the music program offerings for Albemarle County. 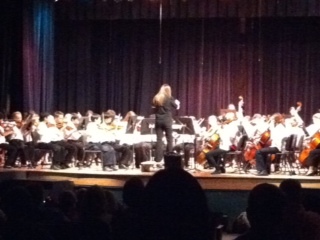 This occurred at the “turn” of the last century and the journey to the middle school orchestra on stage this week has been rocky and, at times, at risk as budget challenges emerged over the last decade. 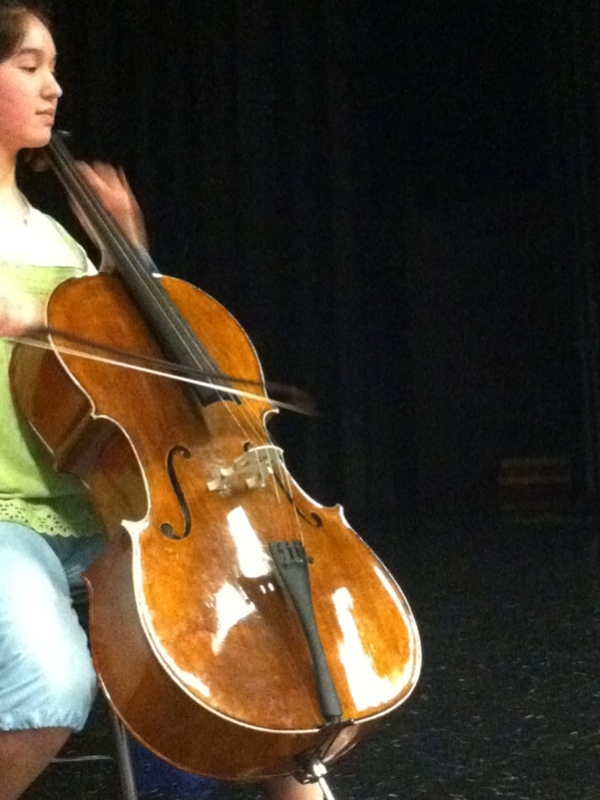 About 350 county students today participate in strings programming and the program continues to grow annually. Our accomplished orchestral students now distinguish our county in regional and state competitions. It’s a delight to see this program finally coming into its own as an opportunity for young people to find and use their musical talents as a learning pathway. We know that young people who participate in performing arts learn one of the most valued skills in the workforce – teamwork. They also learn to cherish music for a lifetime. Both are worthy of our commitment. The Board and staff, in both evaluation and valuation of strings programming as an elective offering, have continued to support and sustain resources over the past decade so that the program could grow. This week’s concert validated for me why that’s been a sound decision and investment. 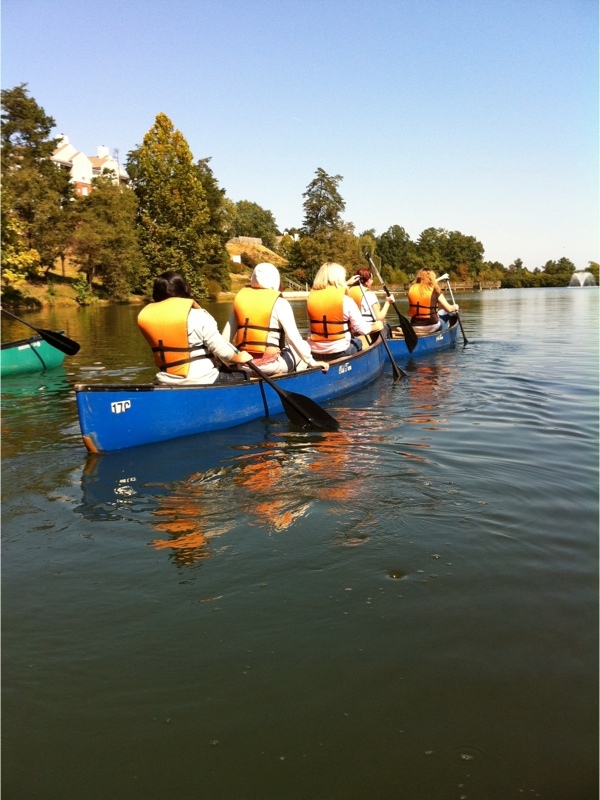 “What’s the number one threat to Virginia’s watersheds?” This week, a biology class at Monticello High applied their classroom learning about watersheds, human environmental impact, and aquatic ecosystems while paddling canoes around a small pond located next to their school. The teacher, Diane Clark, set up the chance for students to participate in a Green Adventure Project field investigation with teacher-guide, Mike Bruscia. Mike brought enough canoes for the entire class to get out on the water. “Even though you are two hundred miles from the Chesapeake Bay, what we do here in the Monticello High area can negatively impact Virginia’s fishing industry. How can that happen?” The students, still on the banks of the small pond, peppered Mike Bruscia with responses – before we loaded into canoes that sat waiting for us. “I’m scared.” Many of the class had never before been in a canoe, but after putting on life jackets and trying out paddle strokes each canoe was manned by students who then pushed off on their investigation. They were quick to respond to their guide’s questions with information they’d learned in class. “Oh, there’s a turtle!” “Yes, you’ll find them here in this shallow area along with wading birds such as the Great Blue Heron.” Overhead, a flock of Canada geese took off and the students sat there silent in their canoes, soaking in the natural world around and above them. By the time they had paddled a few minutes, the fear disappeared and young people soon were experiencing the content they’ve discussed in class. They also practiced a new set of multi-tasking skills -paddling, listening, and observing. “Let’s paddle over to that island and take a look at what’s on it. Sometimes birds will communally roost on an island. Why might they do that?” The paddlers called out responses from temperature to protection from predators. Mike Bruscia took time to talk about his experiences as a field biologist studying birds, throwing in background from his Arctic polar bear studies as bonus content. 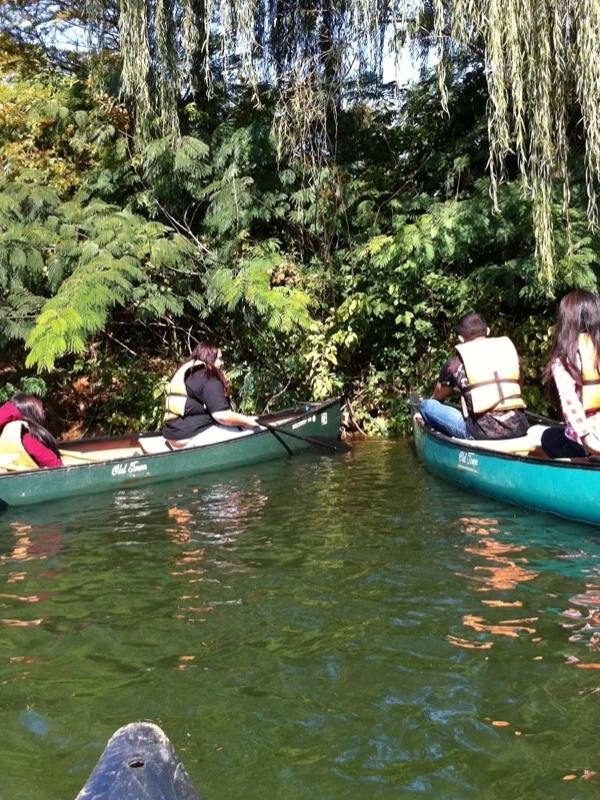 As students paddled, observing turtles, algae, cattails, willows, and Canada geese up close and personal, it was apparent that what the students learned in a schoolroom took on much more relevance and meaning with their immersion in a field investigation. “When you see cattails growing in a man-made pond, it’s a sign that nitrates and phosphates are entering the water. How might that happen?” Their attention drawn to the tall plants near the dam, students began to discuss point sources of potential fertilizer runoff including their own school grounds and neighboring residential areas. In a debrief after returning to shore, hands shot up in the affirmative when asked, “would you do this again?” This experience won’t be assessed on an SOL biology test, but there’s no doubt that this class will think further about their impact upon a watershed that became real to them as they examined erosion on embankments, silt accumulation in shallow waters, and bio-nutrient indicator plants. On the water, they had a chance to respond independently, work collaboratively, and think critically. Back in the classroom, they’re making movie documentaries about their field studies which will be a part of their assessment of progress. Mike Bruscia shared that he’s worked with a number of middle schools in Albemarle to bring outdoor education to our young people, not just as enrichment but as basic field studies of the science concepts taught in the classroom. Teachers in our schools realize that the passion of young people for learning accelerates when they’re actively engaged. This program provided just that. 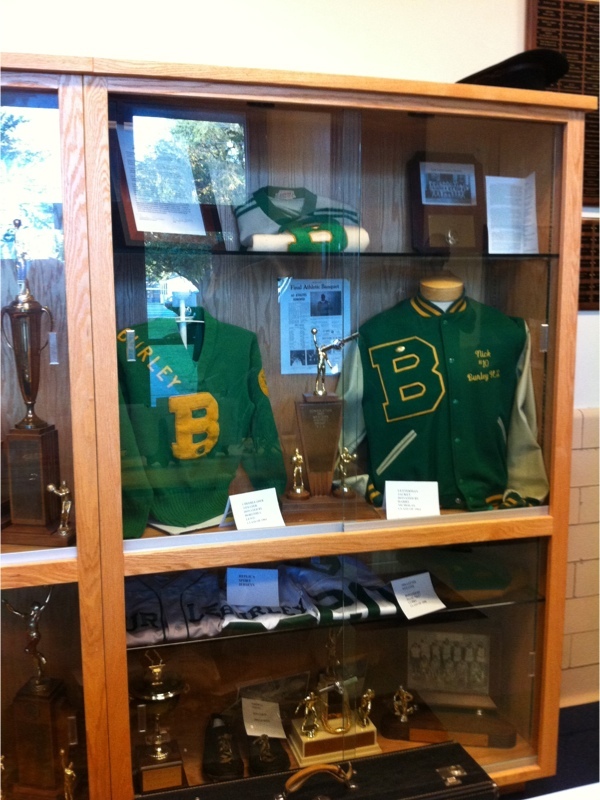 The Burley Varsity Club, an alumni group of Jackson Price Burley High, has demonstrated a significant commitment to recognizing talented educators who influenced their lives while they were students who once attended school together in the days of school segregation in Virginia. They have a mission to honor the accomplishments of teachers and administrators who supported them to become successful as professionals in their own right. This past week, they convened to honor Mr. “Sonny” Sampson, director of one of the most successful high school bands in Virginia’s history and Mr. Steven Waters, a former distinguished English teacher and first director of UVa’s Upward Bound program. 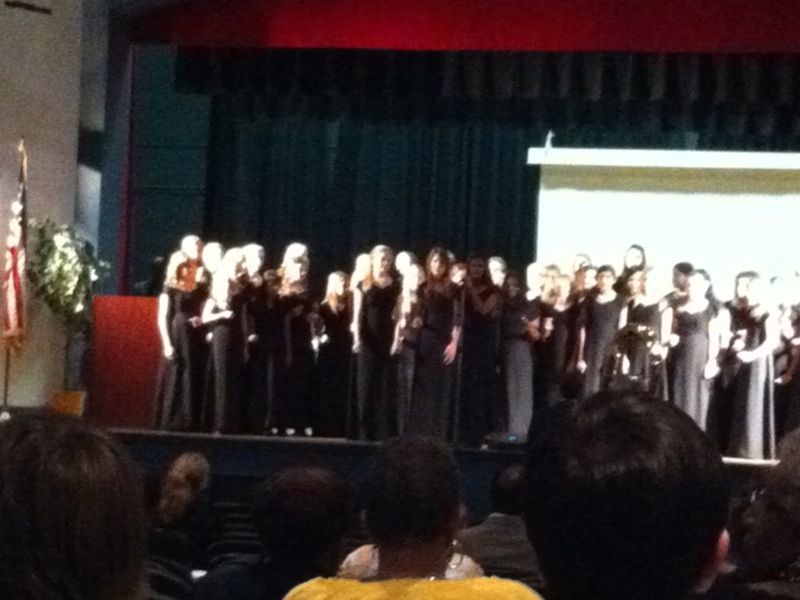 The Burley Middle School Bearettes sang and the middle school band performed for the Burley High alumni in attendance at the program on Friday night. No program of the Burley Varsity Club ever occurs without the presence of their younger counterparts who attend Burley Middle School. This older generation of former students who once walked the halls of Jackson Price Burley High believes it’s important to share stories and historical artifacts with a younger generation of students who today call Burley their school. The Varsity Club and alumni remain valued members of Burley’s learning community and the history they teach to their younger counterparts is an important part of our community’s history and that of Virginia. Our students benefit from the relationships with those who come back annually to celebrate their days as Burley High School students. Their partnership with the school demonstrates their commitment to our Division’s core values for excellence, young people, community, and respect. Young people need a variety of experiences to build the lifelong learning competencies that will equip them to become positive adult members of their communities and families, successful students in continued post-secondary education, and excellent employees and employers. Teachers create those experiences inside and outside of classrooms using a variety of resources from canoe paddles to stringed instruments to books and computers. Support for such learning is a hallmark of educators who value critical thinking, creativity, communication, and collaboration as well as the content knowledge necessary for academic success. Such learners become independent in their work as well as great members of teams, whether in the classroom, in a canoe, or on the stage.